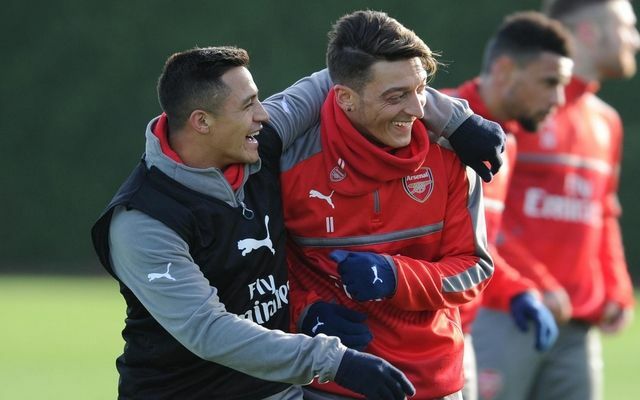 Manchester United may be about to raid Arsenal for the transfer of Alexis Sanchez, but they’ve received some bad news in their pursuit of Mesut Ozil. The Daily Mirror claimed earlier in the season that the Germany international was confident of joining the Red Devils, so much so that he’d told his team-mates about his likely next move. Meanwhile, the Independent reported just days ago that United remained keen on signing Ozil on a free transfer when his contract expires this summer. In a remarkable turnaround, however, United look set to be snubbed as the 29-year-old supposedly looks close to extending his contract at the Emirates Stadium, according to the Sun. This would be a big boost for Arsenal in what has been a difficult season, with Sanchez looking set to complete a move to Old Trafford today, according to Gianluca Di Marzio. While losing the Chile international is a disappointment, preventing another key player in Ozil from joining United will have to go down as some kind of success by the Gunners. As well as that, the Sun claim Jack Wilshere is another important member of the squad closing in on penning a new deal. The Sun quote sources close to the club as saying: ‘Mesut loves it here. He loves living in London and has made it clear he wants to stay. ‘Jack is Arsenal through-and-through and wants to become club captain next season. He wants to be a legend.